Car Wheels on a Gravel Drive is a mystery story. Jeremy Halliday's girlfriend has just left him, tearing a hole in his heart. Several days later, the police contact him to let him know that she never made it home to England from France. Her burnt body and car had just been found. What follows is not just a chronicle of the investigation but also of a past accusation of sexual assault and its complex fallout. This is not a police procedural, but feels more like a drama. Much of the story is concerned with emotional fallout of traumatic events: the sexual assault accusation, the murder, an affair, and much more. The plot takes some odd turns, but all of them fit perfectly in the genre. The relationships and personalities feel very real. These seem like things real people, would think or feel in these situations, from intense emotional agony to challenges with a non-native language. There's a sort of modern ennui that drives the characters and is a bit sad. There is enough going on here to break from the stereotypes of modern novels. The flashback chapters are a bit jarring and it is not always immediately obvious that they are flashbacks. Some dating or a list of how many years ago the chapter occurred could have been useful at the chapter headings. This is not an action-field novel, and a lot of it consists of talking. There are long paragraphs of dialogue, which may not be some people's cup of tea. 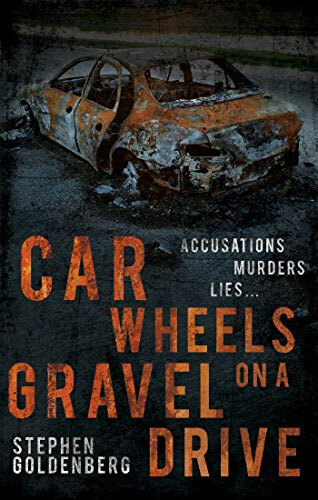 Car Wheels on a Gravel Drive is an interesting, entertaining mix of murder mystery and interpersonal drama. It has enough different about it to warrant your time. "For a start, they didn't even know yet if Julia had been murdered and, even if she had, he had been over a hundred miles away when it happened. And anyway, why would he kill the woman he loved? Ay, there's the rub, as Hamlet had said. Best not to think about that." Stephen Goldenberg was born and educated in London. He studied Law at Oxford University but spent more time reading great literature and so decided to train to be an English teacher. For the next 35 years he taught English in London secondary schools and became one of the first school teachers to introduce the subject of Media Studies. 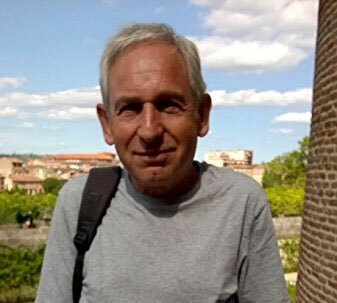 During his teaching career, he published books and articles on English and media teaching and broadcast on educational issues on Radio 4 and television. He was a consultant for schools' television and co-edited and wrote for Teaching London Kids, a radical education magazine. Since taking early retirement, he has written and published three novels and is a volunteer story minister for the childrens' writing charity Ministry of Stories. He also works as a volunteer functional skills teacher for Centrepoint. His novels are 'Stony Ground' (Lulu), 'The Lying Game' (Matador) and 'Car Wheels on a Gravel Drive' (published by Matador in March 2016). He spends his winters in London and his summers with his partner in a converted stone farmhouse in the Aveyron, south-west France.